Charles Deal Kerr was born in 1835 in Philadelphia, Pennsylvania. His family moved to Jacksonville, Illinois when he was a child, but his father died soon thereafter. Young Charles soon assumed the position of looking after his widowed mother and four younger brothers and sisters. Nonetheless, he graduated from Illinois College at Jacksonville in 1857. He began working in the law office of Samuel Miller (later a Justice of the U.S. Supreme Court) of Keokuk Illinois in 1858. He was an “original” Republican that actively participated in the election of Abraham Lincoln in 1860. He was admitted to the Illinois bar in 1861, but enlisted as a private in the Illinois Volunteer Infantry shortly after Fort Sumpter was fired upon. He was commissioned a full colonel by the end of the Civil War. Army life had been hard on his health, however. He came to Minnesota in 1865, hoping that the climate would do him good. Kerr first settled in St. Cloud and entered law practice with James McKelvey. 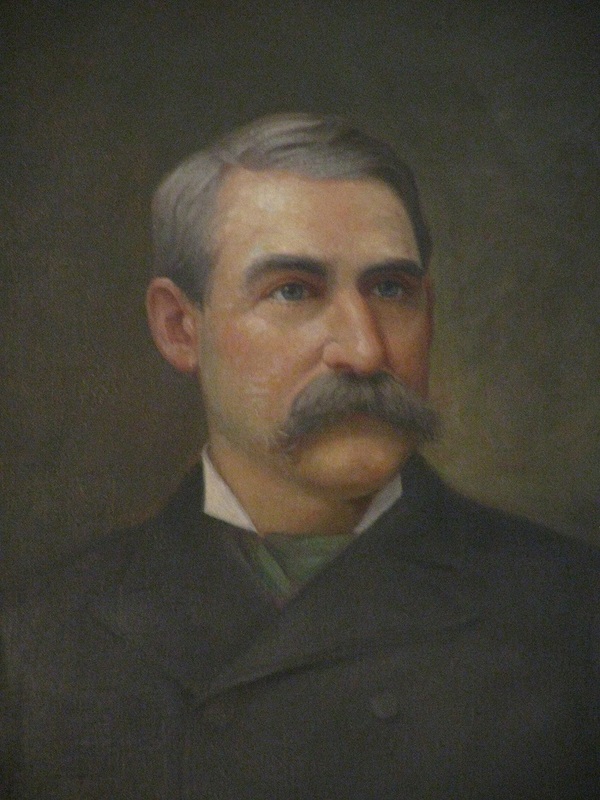 In about 1867 he became county attorney of Sherburne County, and also served as mayor of St. Cloud for several years. Shortly after McKelvey became judge of the 7th District, Charles Kerr moved to St. Paul. It was about this time, in 1874, that he married Mary E. Bennett of Rochester New York. They had one daughter and two sons. In addition to his St. Paul law practice, Kerr served as an alderman and President of the “Common Council” of St. Paul. As a lawyer he was a powerful and sought-after orator. “His arguments were clear and simple and lifted the veil of doubt from the minds of the most obtuse juror.” In 1888 he was appointed to the Ramsey County District Court.